Description: From this inventory process flow template you can see two ways to present the inventory management process - using charts and using graphics. It's up to your own purposes. 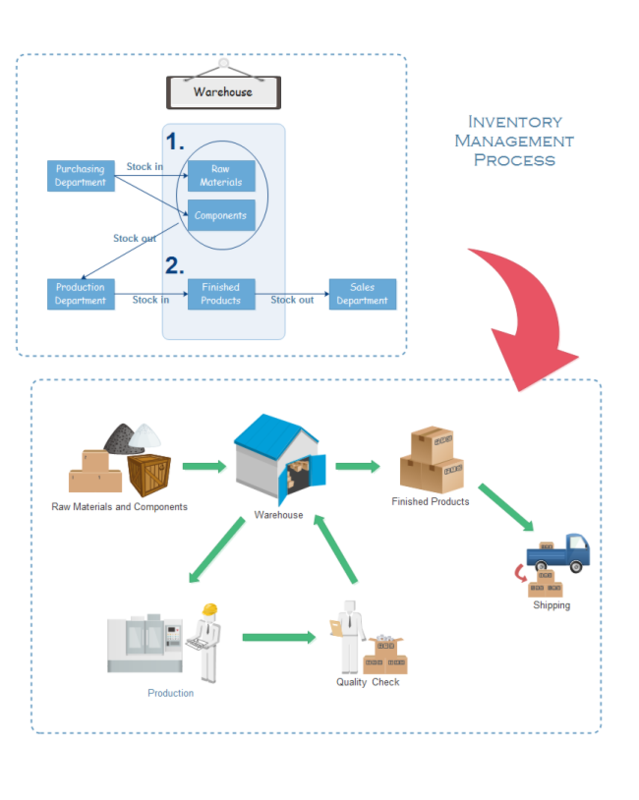 Now you can download this inventory process flow chart for free. Through this sharing community you can share your awesome creations and inspire other diagram designers. All process diagram templates are in vector format allowing users to edit and customize. Explore whatever fits you best and download for your own use.